There is no comparison between HD video and older analog technology. HD video is much higher resolution and delivers better recognition of people and objects. In-fact, you can expect our HD cameras to be at least 3-5 times clearer than standard analog cameras. This is because HD cameras are measured in megapixels. Each megapixel is comprised of 1 million pixels or dots on a screen. 1MP and above is considered high deﬁnition which is the equivalent of a 720p digital broadcast signal. Full HD television is broadcasted at 2MP or 1080P. A 4K Ultra HD video broadcast is equivalent to 8MP. The higher the megapixel count the sharper the image. One great beneﬁt of HD cameras is that you can digitally zoom or blow up an HD picture and the integrity of the image will remain largely intact rather than appearing pixelated or blurry like the older analog cameras. There are 2 types of HD security camera technologies; HD over Coax and IP based. A re- corder that supports HD over coaxial cable is called a digital video recorder (DVR). IP cam- eras connect to a (NVR) network video recorder using Ethernet or network cable. Both DVR and NVR units provide the same basic functionality. Either can be used to view live or recorded video and also to view your cameras remotely on a smartphone, tablet or com- puter. The main differences would be the type of cable used to connect the cameras. Also, it is important to note that HD over Coax recorders are backwards compatible for older analog cameras. In other words, you can use both HD cameras as well as any existing analog cameras with our HD over Coax digital video recorders. Many customers are interested in IP cameras. Our Network Video Recorders are able to display Ultra HD images up to 8mp or 4K. IP cameras are run using CAT5, CAT5e or CAT6 ethernet cable. All of our IP cameras are PoE (Power over Ethernet) meaning that both power and video are transmitted over a single cable for very simple installation. IP camer- as can be run up to 325ft. We offer additional hardware such as repeaters and switches for customers who require further cabling. HD over Coax cameras are run using traditional coax cable with BNC video connectors. Our Digital Video Recorders can also produce ultra HD images up to 8mp or 4K. The most common type of cable used is RG59 Siamese cable. The term Siamese means there are actually 2 cables (power and video) running side by side that can be pulled apart. This is important because HD over Coax cameras are not powered from the recorder. Rather, HD over Coax cameras can be powered using an individual power adapter or a multiple output power when running multiple cameras. HD over Coax is extremely beneﬁcial when a customer has existing analog infrastructure in place and wants to also add HD cameras. Another benefit of HD over Coax is that video can be transmitted well over 1000ft distance. We often recommend HD over Coax when customers require micro- phones for audio recording since it is a little bit easier to integrate. Our digital video re- corders support all of the HD over coax technologies. We carry many different styles of cameras. A lot of people like the bullet style cameras due to their sleek housing. Other people prefer a dome style for their discreet, low proﬁle and vandle-proof design. A large majority of the cameras we offer are fully weatherproof for indoor or outdoor use. The size of the camera lens will determine its viewing angle. Our widest lens size is 2.8mm and will produce a 110 degree super wide angle which is good for covering the entire immediate perimeter. Our most popular lens size is the 3.6mm which offers a 90 degree wide angle. Customers like wide angle cameras because they offer the most bang for the buck. However, if you need to focus on an object that is much further away then you will require a more powerful lens such as 8mm, 12mm or even a 50mm or 100mm lens for good close up images of objects that are over 100ft or even 200ft away. Many of these cameras offer a varifocal lens that you can adjust to achieve the perfect angle. Better yet, many of the varifocal cameras have a motorized lens so you can simply adjust the angle directly from your recorder or remote device. In short, there is always going to be a compromise between the width of the angle and the distance you can see. The perfect solution may sometimes be a combination of wide angle and varifocal cameras. be somewhat uncommon for a power outlet to be located where the camera is mounted. Another consideration is that wireless cameras can be subject to interference or loss of wiﬁ signal. Our wireless cameras can transmit a highly reliable video signal up to 75ft. We recommend hardwired cameras for applications with further distances or structures that prohibit adequate wiﬁ signal. Another consideration when designing a video monitoring solution is storage. Most cus- tomers want to store their captured video footage for 7-10 days. All of our recorders have internal hard drives inside the units where the video is stored. We only use surveillance grade hard drives for the best durability. The higher resolution cameras will require more storage simply because they consume more data. This is why we offer customers the abili- ty to increase the size of their hard drive to meet their exact storage needs. A majority of customers set their recorder to record only when motion is detected in order to save hard drive space. For example, a 4 camera HD recorder with 1TB hard drive can record continu- ous video at 2mp or 1080p for up to 5 days. Ifthe same recorder is set only to record on motion or on a schedule the storage time will increase very signiﬁcantly. Less expensive recorders only have space for a single hard drive. Many of the units we carry have multiple hard drive bays to accommodate more video storage if and when required. Installing a security camera system is something that is best and most effective when done correctly. We are a proven industry leader with over 60,000 customers that specializ- es in professional-grade HD security cameras and systems. We manufacture the highest quality products and sell them at very competitive prices. We can assist you through every step of your project no matter how large or small.Everything is in-stock and available for fast shipping. We offer free shipping on all orders over $100. All of the products we carry include a full 3 year warranty. 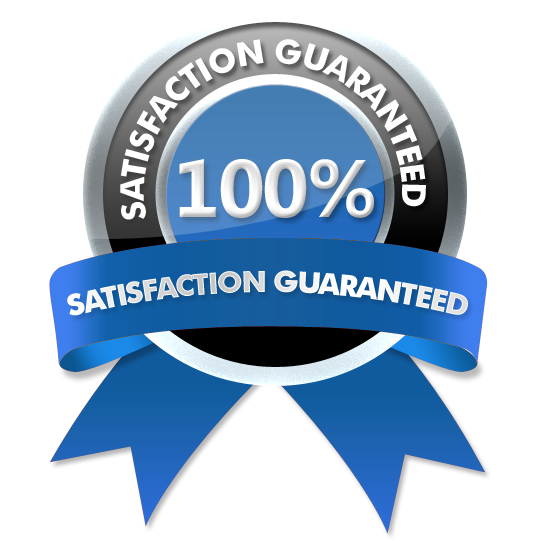 Every purchase includes a 100% money back satisfaction guarantee. 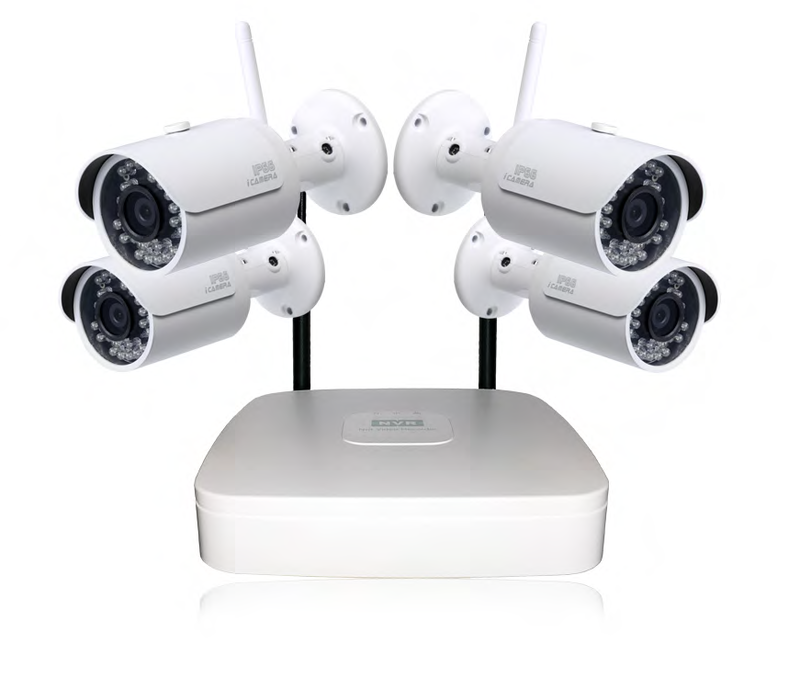 Remember, at CCTV Security Pros we sell more than just security cameras... We sell security camera solutions!